Carol Tamminga, M.D., holds the Lou and Ellen McGinley Distinguished Chair and the McKenzie Chair in Psychiatry at UT Southwestern. She is the Chair of UT Southwestern’s Department of Psychiatry and Chief of the Translational Neuroscience Division in Schizophrenia. Dr. Tamminga received her M.D. degree from Vanderbilt University and completed residency training in psychiatry at the University of Chicago. She served on the University of Chicago faculty from 1975 to 1979 and moved to the National Institute for Neurological Disorders and Stroke for training in neurology in 1978. After joining the faculty at the University of Maryland Medical School in 1979, she taught, conducted research, and performed clinical care there until joining the faculty at UT Southwestern Medical Center in 2003. Currently, she is a member of the national advisory board for the National Institute of Mental Health (NIMH) and for the Brain and Behavioral Research Foundation. She has served on NIMH’s Board of Scientific Counselors and the National Institute of Drug Abuse and as a council member and President of the American College of Neuropsychopharmacology. She has also been a member and Chair of the FDA’s Psychopharmacological Drugs Advisory Committee and served as a consultant for the FDA’s Orphan Products Development Review Group. She is the deputy editor of the American Journal of Psychiatry and serves on the editorial board of several other journals in the field. Dr. Tamminga was elected to the National Academy of Medicine of the National Academies of Sciences’ in 1998 and has served on several Academy committees in that capacity. The goal of Dr. Tamminga’s research is to examine and understand the mechanisms underlying schizophrenia, especially its most prominent symptoms, psychosis and memory dysfunction, in order to build rational treatments for the illness. She evaluates the function of the living human brain in individuals with and without schizophrenia, using brain imaging techniques. Then, building on this knowledge, she uses human postmortem brain tissue to develop molecular observations of the illness. Her ultimate goal is to use the molecular changes she identifies both as biomarkers for the illness and as targets on which to base new drug therapies for psychosis and memory dysfunction. Psychiatrist and researcher Carol Tamminga, M.D., Chairman of Psychiatry at UT Southwestern, leads her department with a very clear perspective: Psychiatric illnesses are diseases of the brain, not conditions of behavior. “Whether patients are suffering from psychosis, depression, anxiety, or PTSD,” she says, “I’m always asking myself: How do we discover and treat the physical basis for this disease? At the same time, we have to keep in mind the psychological experience of illness, however. Dr. Tamminga specializes in treating psychotic illnesses, such as schizophrenia, psychotic bipolar disorder, and schizoaffective disorder. Epidemiologic studies suggest that in populations the size of the Dallas-Ft. Worth Metroplex, there are at least 500 new cases of psychotic illness every year. Dr. Tamminga’s work is focused on both improving Dallas’s current systems of care for these patients and developing new ways to detect and treat their disease. She says that for people who develop psychotic illnesses, early and aggressive treatment can make all the difference in their ultimate function and quality of life. And the best early treatments combine medications with social support, teaching these patients healthy cognitive and social skills as well as resilience because they often have a hard time maintaining social networks and employment. 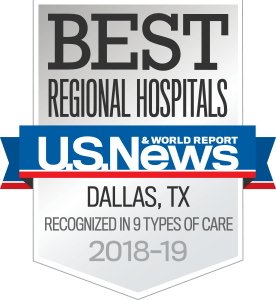 Dr. Tamminga and her team are trying to combat that state of neglect by establishing a new center for early psychosis at UT Southwestern – in partnership with community facilities and hospitals – where new psychosis patients can receive comprehensive support and the latest advances in treatment. The heart of Dr. Tamminga’s work is research to improve diagnosis of these illnesses and to find new targets for drug development. Her group is the lead site of a national consortium that is developing biologic brain measures of psychotic illness, devising ways to diagnose these illnesses based on biology, not behavior. The group also conducts laboratory research to explore how the brain makes a hallucination or a delusion. Finding the brain’s mechanisms for creating these symptoms opens up new opportunities to refine treatment. “Once we understand the mechanisms in the brain, then pharmaceutical companies will be able to develop more effective drugs, perhaps with fewer side effects than our current options,” she says. Meanwhile, Dr. Tamminga notes that for many people with psychotic illness, access to quality psychiatric care is an ongoing challenge. The residency program at UT Southwestern is the largest in Texas and one of largest in the country. Dr. Tamminga says she’s proud to have the opportunity to train young psychiatrists to understand how the brain works and to be creative in thinking about how the brain supports psychiatric symptoms. Leiber Award for Schizophrenia Research 2011, The Lieber Prize for Schizophrenia Research is given in recognition of a research scientist who has made distinguished contributions to the understanding of schizophrenia. Kempf Award, American Psychiatric Society 2011, This award recognizes a senior researcher who has made a significant contribution to research on the causes and treatment of schizophrenia as both a researcher and a mentor. Human postmortem tissue: what quality markers matter? Kv3.1-containing K(+) channels are reduced in untreated schizophrenia and normalized with antipsychotic drugs. Clinical Phenotypes of Psychosis in the Bipolar and Schizophrenia Network on Intermediate Phenotypes (B-SNIP). Diffusion Tensor Imaging White Matter Endophenotypes in Patients With Schizophrenia or Psychotic Bipolar Disorder and Their Relatives. Probing the human hippocampus using rCBF: contrasts in schizophrenia. The hippocampal formation in schizophrenia. Reimagining psychoses: An agnostic approach to diagnosis. The GABA b receptor as a target for antidepressant drug action. Functional connectivity of Brain Structures Correlates with Treatment outcome in Major Depressive Disorder. Psychosis is emerging as a learning and memory disorder. Neuropsychological Impairments in Schizophrenia and Psychotic Bipolar Disorder: Findings from the Bipolar and Schizophrenia Network on Intermediate Phenotypes (B-SNIP) Study. Q&A by Carol Tamminga, M.D.